A reliable and affordable uniform supplier, Tibard is your one-stop-shop for quality garments at great prices. For over thirty years Tibard has created, supplied and refined uniforms for the hospitality industry in Cardiff and throughout South Wales. Our chef uniforms can be found in the kitchens of popular chain restaurants and independent establishments also we provide industry-standard workwear and safety garments. The sheer variety of garments allows you to individualise your staff’s uniform to your specific sector. With so many great products and offering possibly the best value in the business, there are many great reasons to buy your workwear and uniforms in Cardiff, Bridgend, Newport and Barry online from Tibard. We have over 2,000 products to choose from with many of them specially designed for an extensive range of different industries, with products to suit every budget and style that you may have in mind. We work with businesses of every size and ensure that we give the same service to every one of our customers, no matter whether you order 10 or 10000 items. In order to ensure that we offer businesses interested in workwear and uniform in Cardiff the best possible value we also have bulk purchasing discounts on items so that the more you buy, the more you save. One service that we can provide online is workwear personalisation to businesses in South Wales. This is an ideal service for those businesses interested in workwear embroidery in Cardiff, Pontypridd, Merthyr Tydfil and Neath as we can add your business logo to most of our uniform products for a small additional fee. This means that you can add your logo, contact details and names to your workwear uniforms allowing you to tout for new business while working as well as creating a much more professional look for service businesses. Ultimately, Tibard aim to make buying workwear and uniform clothing as easy as we can and with giving you the most value as our most important aim. If you want any more information feel free to get in touch and one of our team will help you. At Tibard we believe workwear is a vital part of elevating a business, so we take pride in the premium quality of our aprons and chef uniforms. Cardiff is a city filled with a variety of hospitality establishments from bars and clubs to commercial hotels each with their own unique requirements for their workwear. Take a look around our website, and you’ll see our wide variety of uniforms available in Cardiff, can’t find what you’re looking for? The Tibard team can help steer you in the direction of the garments suitable for your business. Tibard’s exceptional customer service and commitment to quality means you’re getting the best experience possible. We work with some of the best commercial laundry services in Cardiff ensuring your staff are always looking their best. Although we can supply every business need through our website, we also have a range of specialist services for more extensive business in Cardiff and South Wales who need workwear in high volumes or have specialist requirements. One of our most popular services is a managed uniform account which allows you to leave the management of large orders on an ongoing basis to us, this service is bespoke to your business and is well suited to those with multiple locations. 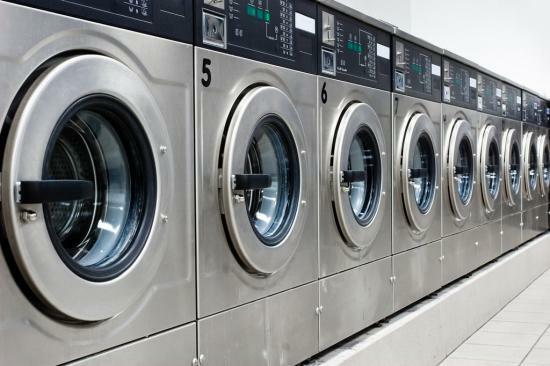 We also offer a laundry and rental service to keep your uniforms clean and fresh at all times; this is particularly popular with our hospitality and catering customers who want uniforms but not the hassle of dealing with laundries and suppliers. As we manufacture uniforms and workwear on site, we can also provide a very specialist service of uniform design which means that we can work with you to create a bespoke uniform or range that is unique to your business. If you want to find out more about any of these, give us a call or read our uniform services page. Experience is not just proven by understanding a sector of workwear - we have the stats to back it up - this is why we believe we are the supplier of choice for your staff uniforms. While the numbers do not tell the whole story of our expertise, these are key statistics that we are particularly proud of and which contribute to Tibard being Uniform in our Expertise. Items Dispatched On Time Last Year. Garments Manufactured At Our UK Factory. Garments Manufactured In Our Global Network. Please get in touch to see how we can best help you with your uniform needs. All of our orders are shipped and tracked by DPD Group. Copyright 2018 Tibard. All rights reserved.